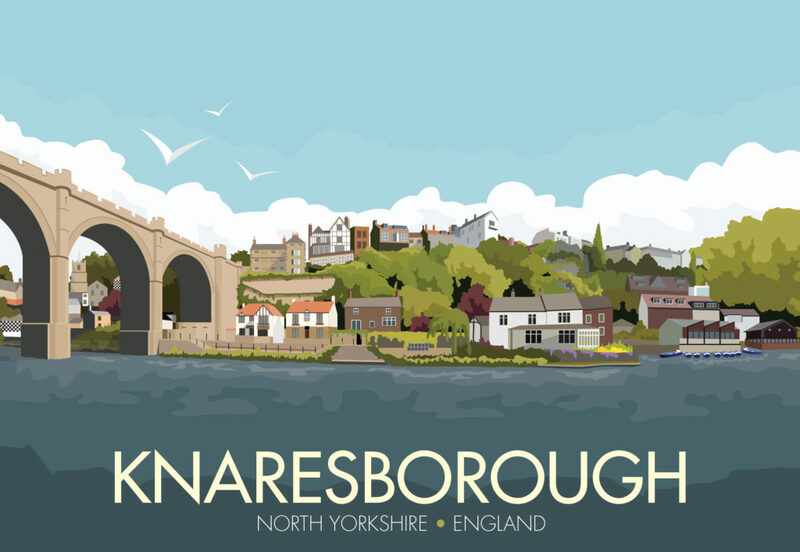 Ever since I started creating these travel poster my brother has been saying I should do Knaresborough and I can see why, it’s a beautiful place. I even sent him there on a recce to take photos for me, cheers Ben. I’ve not been there myself yet, but I have plans. In fact I’m pretty sure my brother promised to take me to the Marigold Cafe and treat me to ice cream. Although seeing as this print was his suggestion, the treat should really be on me. Anyhow, I started this over 6 months ago. No it didn’t take that long – promise – but I really wanted to do justice to the place. As I’ve said before some of my prints work well when I simplify everything down and others need that detail. Knaresborough is one for those places that needs the detail…and detail takes time. So here it is at at last. I hope you like it. As always prints available to buy on my Etsy shop. They look brilliant except Knaresborough isn’t in Harrogate. Hi Emma, thank you so much for your kind comments and for the information about Knaresborough not being in Harrogate. Another lovely reader has been in touch too and I have now taken the word Harrogate off the poster. Hopefully I have not done too much damage ;). 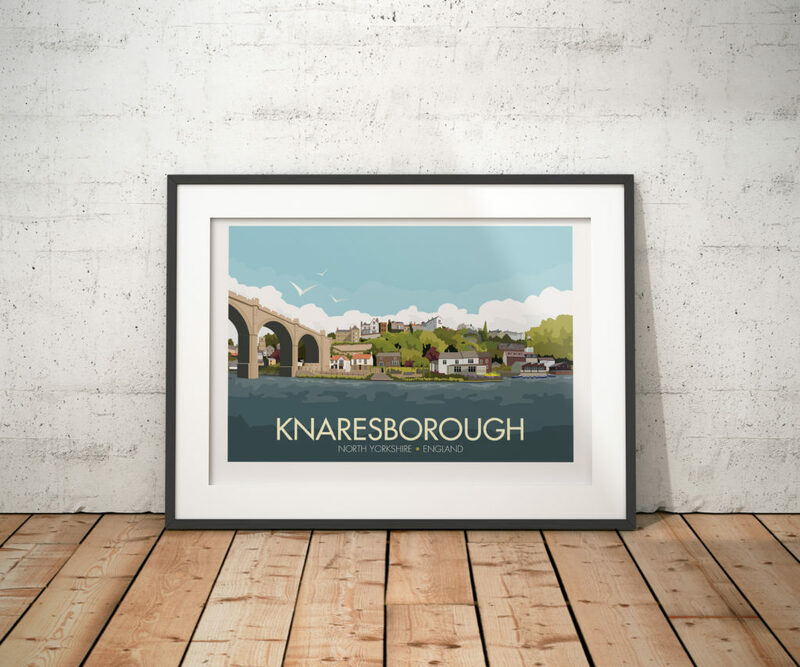 Very nice and lovely tones, but please note that Knaresborough is a completely separate town to Harrogate. In fact it is a much older town than Harrogate. Your design suggests that it is a district of Harrogate, which it most certainly isn’t. If you wish to sell these prints to Knaresborians, you’ll need to remove the references to Harrogate, as we hate being thought of as an appendage! Other than that, great work. Once again thank you for your advice, and for your kind comments regarding the style of my artwork it is much appreciated.